A day after the release of initial developer code, Apple has made the first public betas of iOS 11.4 and tvOS 11.4 available. iOS 11.4 and tvOS 11.4 once more include support for AirPlay 2, Apple's upcoming wireless streaming protocol that supports features like multi-room audio. The technology was stripped out of 11.3 beta releases. Messages in iCloud is also back in iOS 11.4 beta 1. Otherwise, there are very few changes to note in these latest updates. You can check out our hands-on with all the changes so far. Let us know if you find any other improvements, if you do dive in and try out the latest software. Those who would like to sign up can register on Apple's website. 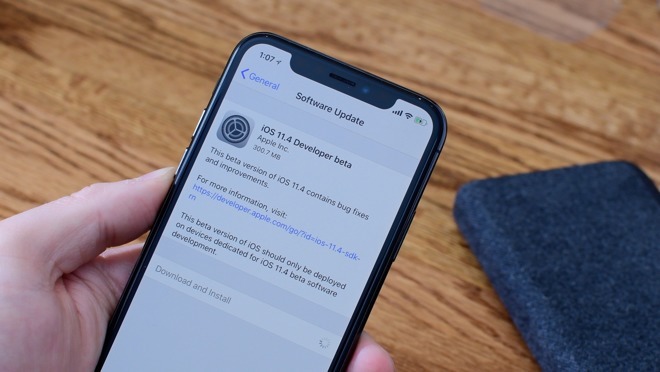 AppleInsider, and Apple itself, strongly advise against installing beta releases on any crucial day-to-day devices, due to the potential loss of data that can occur.